Pruning helps trees grow strong and look neat and attractive. One prunes a tree to remove damaged branches, allow for new growth or create a distinctive shape. It’s important to do it correctly, so you don’t end up damaging the tree. Read on to learn the basics. Always prune safely. Wear a long sleeve shirt, gloves to protect your hands, and safety goggles to prevent foreign objects from damaging your eyes. ​Prune conifers with caution, particularly if used as a hedging plant. Conifers will only put out new shoots from green wood. So, if the conifer is used as a hedge plant and you prune until it shows no green, that is the way that it will stay. ​Do not top shade trees. 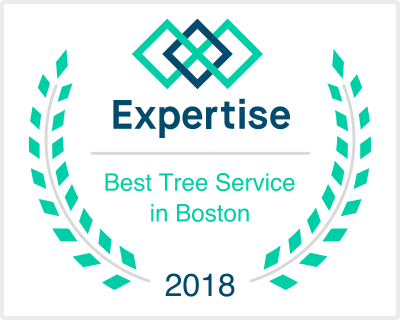 Topping a tree is pruning it for height – shade trees are meant to grow tall. Topping has serious implications re branch structure/strength and overall tree health. Do not attempt to control the height of a large tree by shearing the top. Plant a different tree instead. ​ Assess the tree. Spend a few moments looking at the tree’s size and shape and imagining how it should look when you are finished. Identify the major branches of the tree that make up its “skeleton”. Avoid removal of these branches. Remove branches that show signs of damage first. Whether they were damaged by a storm or some other event, broken branches should be pruned so that the water and nutrients they’re still taking from the tree get redistributed to healthy branches. Thin out areas that are thick with branches. Remove branches that cross, then open the plant so that air might circulate and light reach all parts of the plant. In order for trees to grow healthy, they need good air circulation through and around the branches. Branches that are close together foster the growth of fungus and attract more insects. Prune branches that act as obstructions. Whether they’re low branches blocking your walkway or higher branches threatening your telephone wires, rubbing your roof, or overhang your house. It’s fine to prune the branches that are causing some type of annoyance.